These adorable little Mini Pizza Sandwiches are perfect for game day, or for an afternoon snack. Grill them for the full tailgate experience. You’ll thank me for it! Okay folks, these little sandwiches are going to knock your socks off. They are absolutely delicious. The added bonus is they are super easy to make. And quick. You can have these ready so fast you’ll think you made a mistake. But trust me, you didn’t. They are meant to be that quick to make. These are born of necessity. I have two very busy kids. They were always doing after school sports so I learned a few tricks along the way to make dinner fast. We used to spend a ton of time at the barn when mini-me was younger. She would play soccer for the school team, then we’d zip to riding lessons, then B-Dude would need to be picked up from work. By this time it would be way past dinner and we would all be hungry and cranky. So this was something I could whip up ahead of time and have hubs toss on the grill for me as we got close to home. Another perk of this one is you can also cook it in the oven. I prefer this one on the grill, but if it’s rainy or you run out of time this can easily happen in the oven. They are perfect bites for tailgate parties too. You can make them up ahead then just toss them on the grill for a few minutes to feed a hungry crowd of football fans. Speaking of football, these Mini Pizza Sandwiches are being featured over on It’s a Keeper. 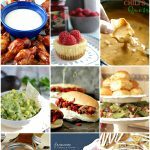 Christina wanted some guest posts for her Tailgating BBQ Series. She is giving away a Napoleon Grill so be sure to check out that giveaway. 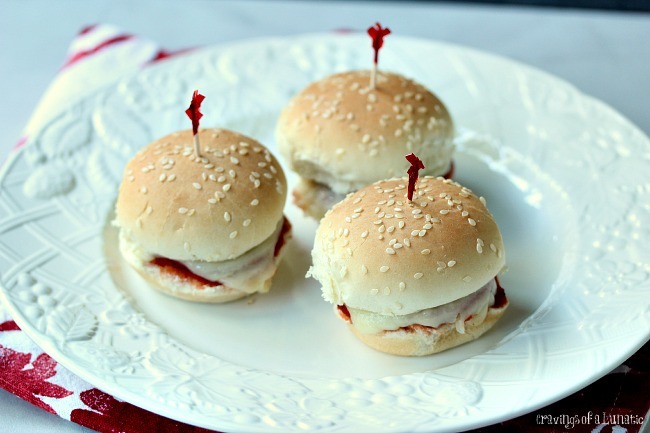 So zip over to It’s A Keeper to check out my recipe for Mini Pizza Sandwiches. While you’re there be sure to follow Christina’s blog, and stalk her on social media as well. She is on Facebook, Twitter, Pinterest, Instagram and YouTube. She also has an e-book for sale if you dig those, it’s called Dinner 411. Now hop on over there to grab the recipe for these little bites of joy. You can thank me later. Be sure to check out my other blog, Kiss My Smoke for other amazing grill recipes. I spend a lot of time at the grill, it’s my happy place. Check out my Steak Bites, Grilled Smashed Potatoes, Steak Salad, Chicken, Broccoli and Garlic Kebabs and Grilled Asparagus in Brown Butter and Shallots. You can also follow Kiss My Smoke on Pinterest and Facebook. I’m a huge grilling enthusiast and love to talk about grilling with readers. It’s such a passion for so many of us. Thanks to Christina of It’s a Keeper for having me swing by her blog. Now y’all should swing by there too to see these Mini Pizza Sandwiches. 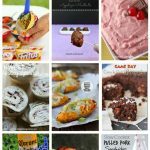 Follow Kim Beaulieu | Cravings of a Lunatic’s board Pizza Cravings on Pinterest. 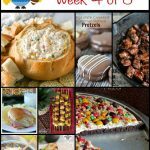 Tune in this week for chocolate recipes, slow cooker recipes and some giveaways. Be sure to click around the recipe index or use the search bar if you are looking for something specific. Or email me, I’m happy to take recipe requests. I’ve been looking for ideas for an outdoor party coming up. Now that it’s getting warmer down here it’s nice to sit out by the water but you can’t sit without food, right? Off to learn more about these mini pizza sandwiches! 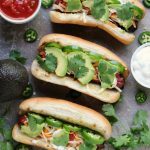 I’m a sucker for mini / bite-sized anything — these would be adorbs for a game-day party! Pizza + sandwiches – how can you go wrong with that combo?!?! 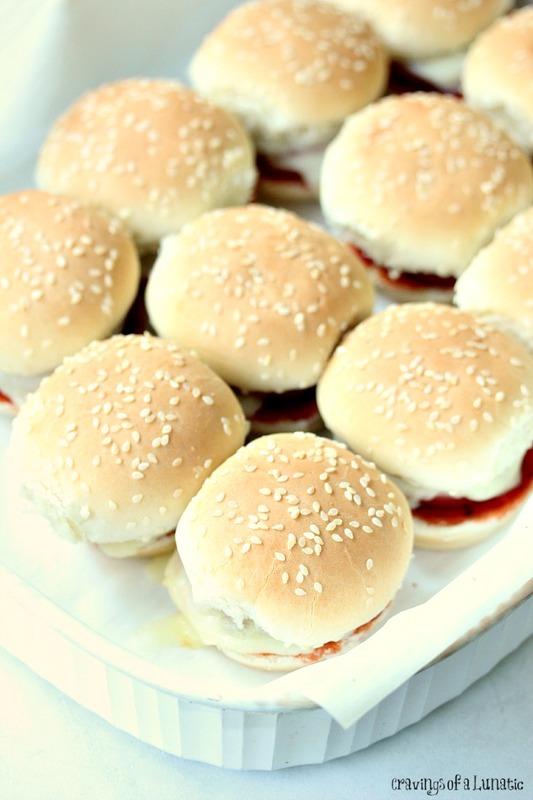 These sliders look so totally poppable and delicious! 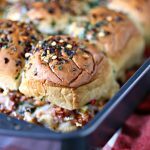 PERFECT football game food… Brian will love ’em! You had me at mini. And pizza. And sandwich. HA. Seriously…although the mini just means I’ll eat 6! Such a great party idea! They look so good! It sounds perfect to come home and these delicious sandwiches are ready to be consumed. Yay for quick and easy – peasy recipes. 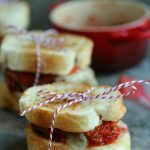 Mini Pizza Sandwiches – Brilliant! Glad to see these can be made in the oven if need be since it’s getting a bit chilly here for me to be grilling. These would be adorable for a game night! I would have to make double because my husband would eat all of this! 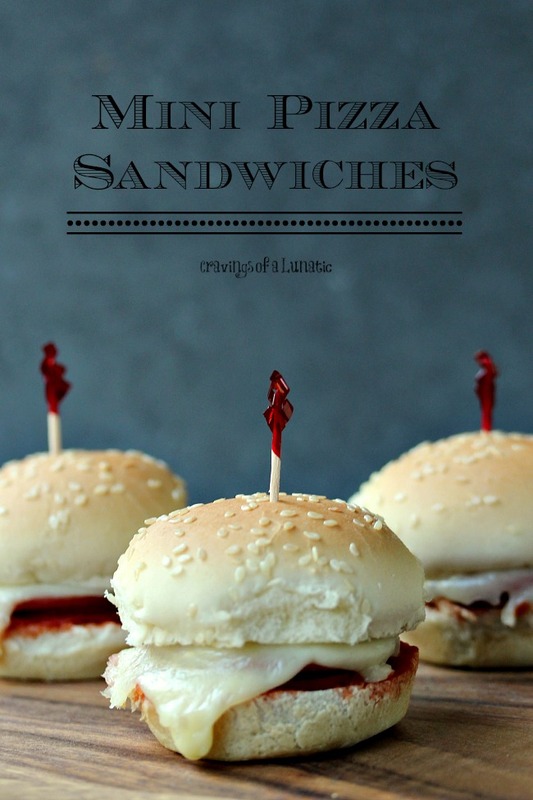 I love tiny food and these sandwiches are to die for! So cute!